1. Do you like avocados? Do you like eggs? Do you have both in your refrig at this moment? Then, by all means, try this wonderful dish for breakfast, or lunch, or an indulgent (and much-deserved, I’m sure!) snack. Cut an avocado in half and sprinkle liberally with salt and pepper. Crack an egg into each half, again salting and peppering. Bake in a pan (as shown) for 15 to 20 minutes at 325, or until your own particular preference level of egg-firmness is reached. These lovelies go well with salsa and sour cream (especially if you’re celebrating something) and perhaps a big hunk of homemade bread for dipping. A bit of shredded cheese sprinkled on the top right for the last few minutes doesn’t go amiss, either. Your day will be better after you eat one of these, I promise you that! 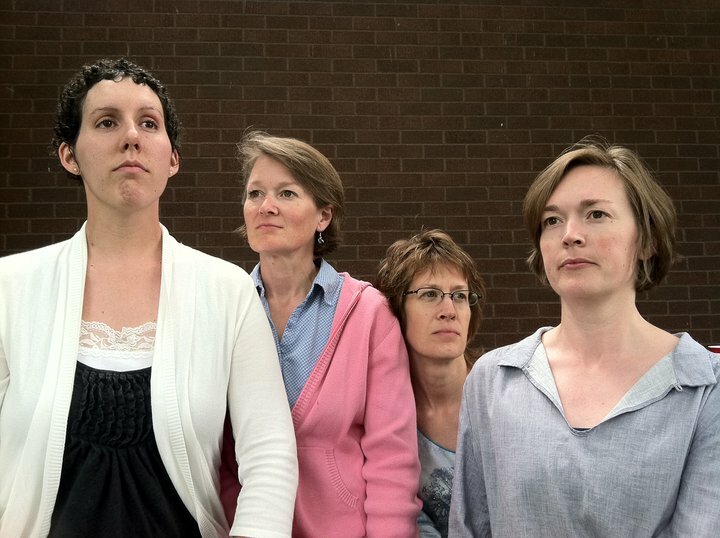 My lovely daughter-in-law Sonia, me, sisters Anne and Mollie pose as Mt. Rushmore: tell me, did we pull it off? 3. It has been nearly a year ago now since my big brother Mark ran the Lincoln half-marathon. He was brave and gutsy (’cause he’s even older than me!) 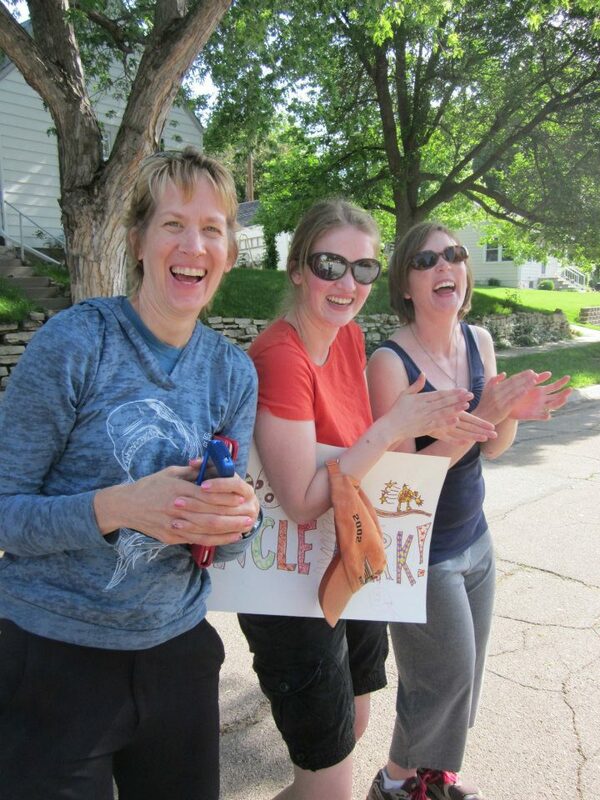 to do this, and my sisters and my daughter Bethie and I all went along to cheer him on. It was one of the most fun mornings ever. I’m usually running these silly races, and this time I got to stand on the sidelines and cheer myself hoarse for my brother, and that was awesome. Little Mack made the sign above, which we waved. Don’t you love it? 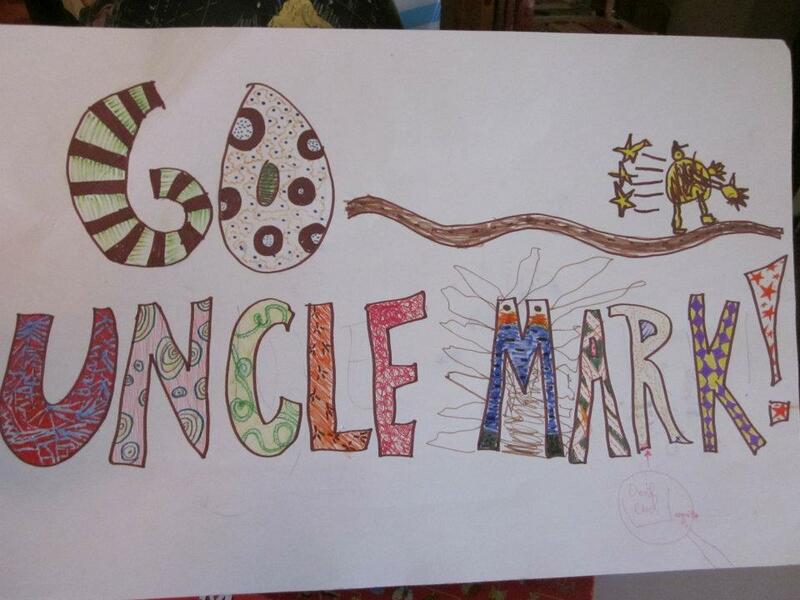 Go Uncle Mark! 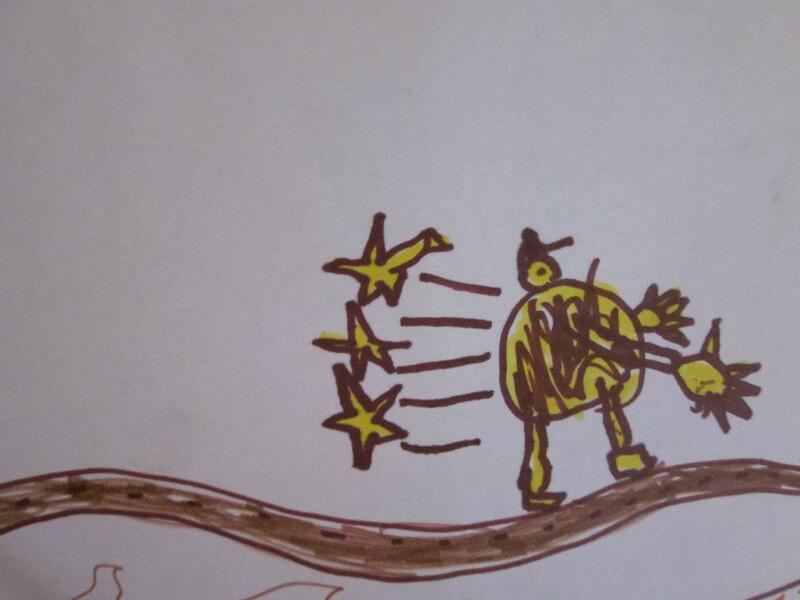 Little Mack insisted that those stars indicated “speediness,” not pain. We actually got a few dirty looks from the runners, which tells me that a. They perhaps were taking all their blood, sweat and tears a little too seriously, or b. We were being annoying. 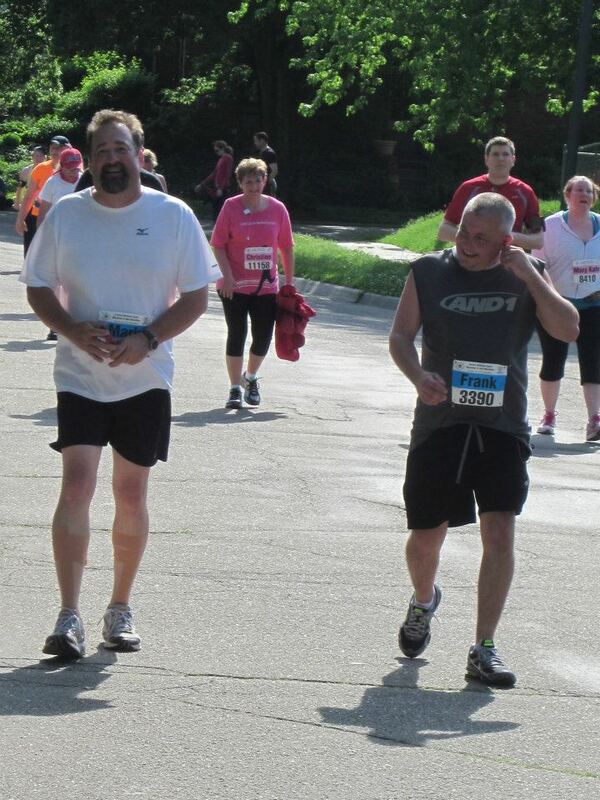 I choose a.
Here’s my brother Mark running in the half-marathon. He’s the one on the left, with the cute legs. Honestly, my brother Mark has the cutest legs in the family, which is blatantly not fair because he also has the biggest brown eyes and the longest, curliest eyelashes. Totally not fair, don’t you agree? 4. This picture warms my heart every time I look at it. My daughter Amalia is the cutie on the left, and her cousin Adam played her husband in the melodrama that we just finished putting on. Here he was joking with her backstage, and I love the expression on her face when this picture was snapped. 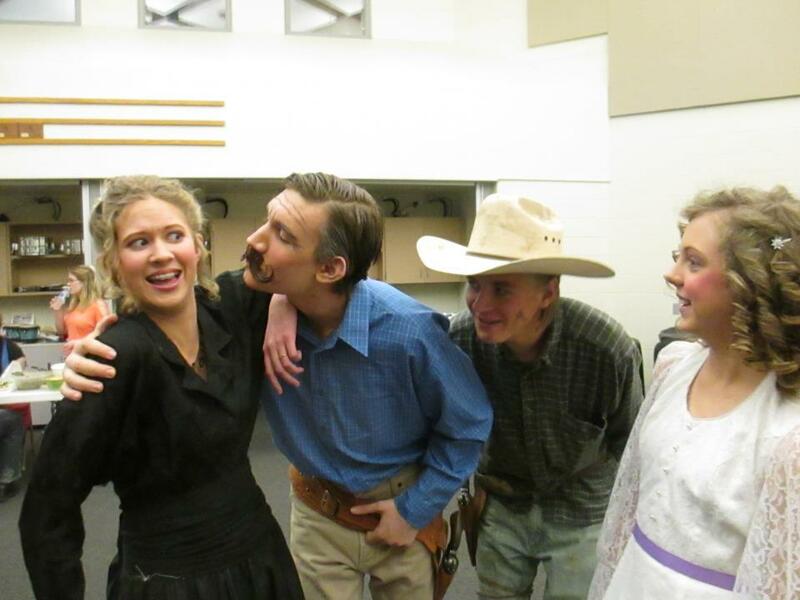 The expressions of Josh and Hannah watching are priceless, too. Honestly. Doesn’t it just make you melt, too? Little Mack takes his egg-dying responsibilities very, very seriously. 5. 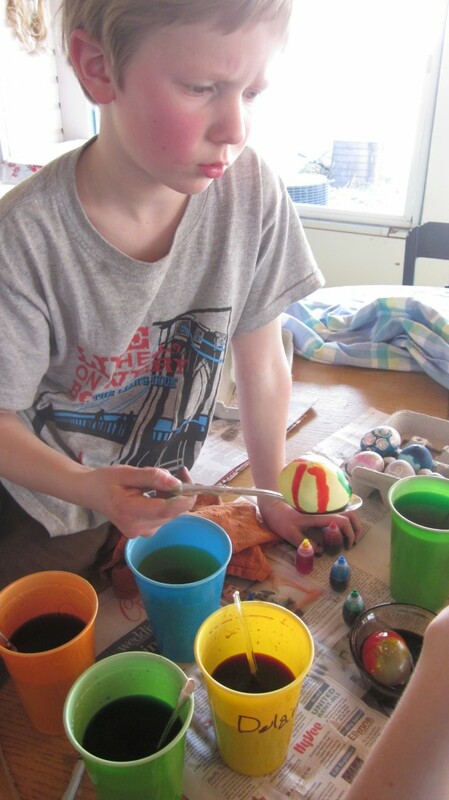 The day before Easter, we dyed eggs for two hours straight. It was one of those things that Mack had been waiting for days to do, and he was not going to be denied the fun! We started out trying to fit it in quickly that afternoon, but eventually we all relaxed and had a fun time, brewing up tea for dying, using salt and an oil/water mix for marbling, basically pulling out every trick in the book. I had forgotten to buy the egg-dying kit from Wal-Mart, but as it happened, we didn’t even need it! See–aren’t they pretty?–you can do a lot with some food coloring and random other things with color from your kitchen! Well, I think that probably qualifies for “A Few More Things” so I shall let you go now. Have a lovely day, you, and thanks as always for reading! Did you forget your glasses again, Roy? 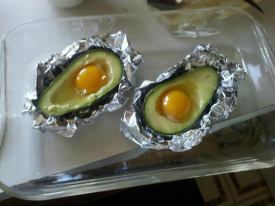 Very entertaining blog, so glad I found you on the UBC and I can’t wait to try the avocado egg bake! Thanks, Tor! I’d love to hear how it turns out for you! Oh, my gosh. I love the “pose as Mt. Rushmore” idea. I think I might use that when I am out and about for First Friday. What an ice breaker that would be, eh? It is barely after 6 am here in California and I am posting earlier than my norm here at the Ultimate Blog Challenge and I am so glad I took an extra moment to comment not only two above my post, but three above my post and two below. What a fabulous Friday! Enjoy yours… and thanks for the inspiration!! Amy, why do I suspect that you could have gone way over just 5 more things!!! Ha! I did enjoy the Rushmore pose, but what other poses could liven up a gathering? GGord, geez, you’ve got me pegged! Tell me the truth–do I go on TOO long? I love that your posts are full of pictures and stories, sort of like a ‘real’ blog. 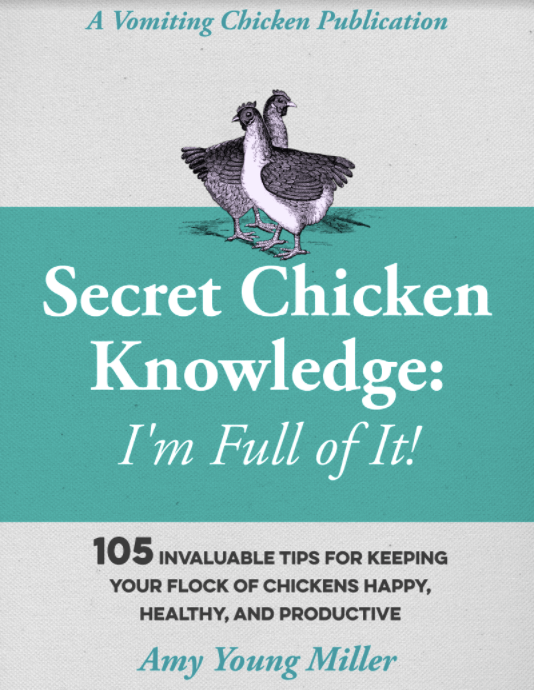 I use my blog for waffling about all sorts, but can be guilty of trying to make points too often. Before blogging I used to do an old fashioned email newsletter, which was much more similar to what you’re doing, and think I may go back in that direction, as I do enjoy reading your tales! I think it takes awhile to find your “voice” in blogging, as in any kind of writing venture! Give yourself time (and write lots) and I’m sure that you’ll find your direction and voice, as well. I’m still working on finding mine. We use a lot of avocados in our kitchen so this is a natural. We also make a dish that is made with torn tortillas and chili sauce for breakfast. I believe the two will work very well together. Nice pictures, thanks for sharing a few moments in time. Nice to hear from you, Chef! I absolutely cannot wait to try that avocado recipe! Neither can my youngest boy, he likes eggs, avocado, and cheese! We may find a “that’s all he’ll eat” food with this one. LOL Thanks for sharing! yay! I hope it turns out well for you, Regina! My favorite photo is the one of Mack dying his eggs. The results in the photo are awesome! Way to go Mack!! I am still laughing about the Mt. Rushmore pose idea! Very funny blog, Amy. As always, you have a great knack for writing and amusing! Have a great weekend. Thanks Suerae, my family nearly always has a crazy time when we’re together. Thanks for your sweet words. Wow, it looks like you’ve been busy. 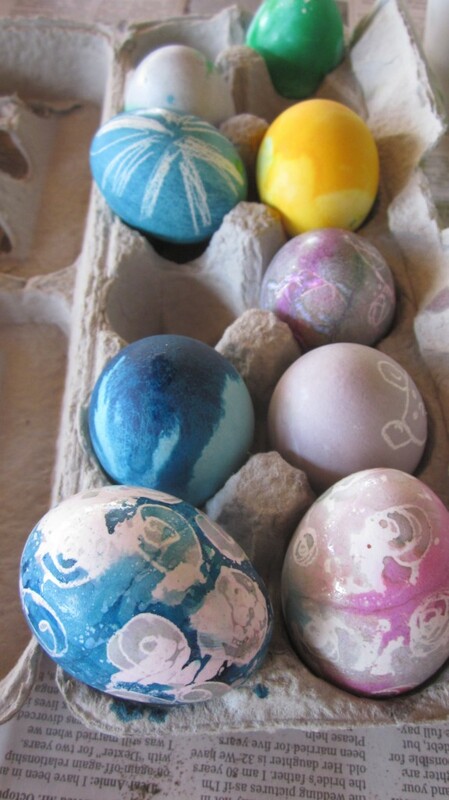 I love the way your Easter eggs turned out! I am so envious of how much fun your family has together, what joyful delight. I love the photos and great ideas. My husband and I are introducing our kids to Monty Pythons Holy Grail tonight, lots of giggles here. 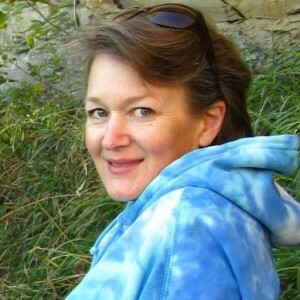 Anita-Clare, my husband read about the egg and avocado (I made them when he was at work) and he came to me all sad–when are you making me that egg and avocado I saw on your blog? So I think I’ll be making more soon! Your family just makes me say “awesome”…. and HOW did you think up the posing as Mt. Rushmore stunt? I think all family reunions should include this! Hahaha! I think the HOW was that we were (true confessions) bored, and you know how creative you can get when you’re bored!! Thanks for your nice comment.